Whether you’re a new raghorn chaser or an experienced wapiti stalker we have got a hunt for you. We hunt in remote areas of the Big Horn Mountains and offer two different base camps, the Diamond Tail Cabins and the Back-country Camp. These areas hold great elk in both quality and quantity. Rifle, archery, and muzzle-loaders are all welcome, as well as crossbow hunters. Although we have harvested bulls in the 380 class range in recent years, on average, a mature bull will range from a 280 to a 350 class bull. All of the archery hunts will be during prime bugling season. Calling will be the preferred technique during this period. To hunt during the rut is one of the most exhilarating hunts you’ll ever experience. The rifle hunts will combine some calling, spot and stalk, and tracking. All of the guides are well trained in these hunting methods. For those who are willing to be patient and work hard, real trophies are there to be had. We advise applying for preference points on elk and we will assist you with this process. Elk populations are at an all time high; year after year Wyoming ranks number one in overall elk hunter success. For some of our clients a guided elk hunt is a once in a lifetime opportunity, for others it's an experience they enjoy every year, either way our commitment to making your hunt the best it can be remains the same. This is a Back Country Tent Camp where horses are used for riding and packing meat. This hunt is conducted on National Forest Service land. Each tent is equipped with wood stoves, cots, foam pads, and lighting. You'll enjoy home style cooked meals prepared by an experienced mountain camp cook. Your horses will be cared for and ready to work for you each day. 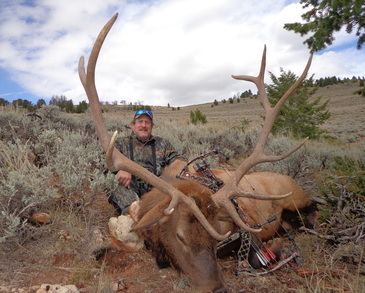 This camp offers all the perks of a truly rugged western experience combined with excellent elk hunting opportunities. The season for bulls in this area is October 15th- November 4th. ​This hunt is the home of our Diamond Tail Cabins. The hunt is conducted on both public ground and a leased private ranch. The bunkhouse style cabins offer wood stove heat​, electricity, running water, shower and bathroom facilities and a main cabin where all meals are prepared and served. 4x4 vehicles and ATV's are utilized on this hunt Over the past few years we have boasted a near perfect success rate! Managing the way we hunt a private ranch has been instrumental in being able to offer highly successful hunts on great trophy bulls. Cow elk hunts are also offered on this ranch to maintain a good bull to cow ratio and a healthy thriving herd. Season dates for this hunt are the same as area 40, October 15th- November 4th. 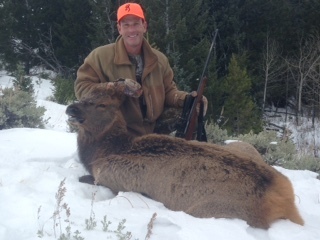 Cow Elk Hunts are offered in either area 41 or 63. This is an excellent way to fill the freezer and with ground beef costing on average $4.00 per pound, a cow elk hunt is a great alternative. 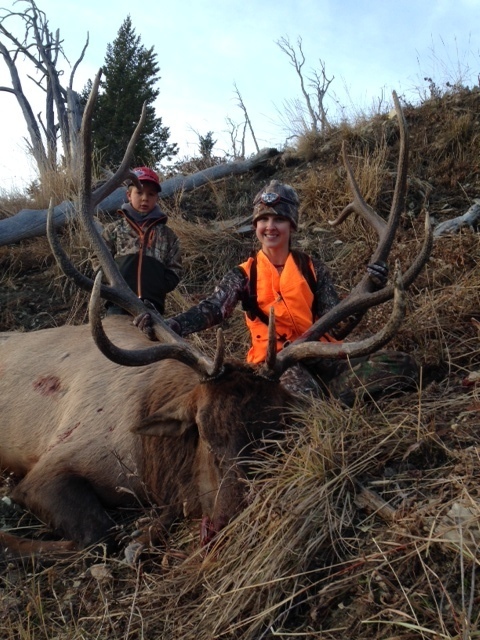 Cow elk hunts are extremely successful hunts and are a less expensive way to experience a guided hunt . We conduct these hunts between Thanksgiving and Christmas. License applications can be submitted in January when bulls tags are applied for or if you miss that deadline left over tags can usually be purchased on a first come first serve basis in July. The Shell Campground offers great cabins for our Area 41 hunts. They have full RV hookups tent sites, as well as comfortable cabins. Check out their website for more information.